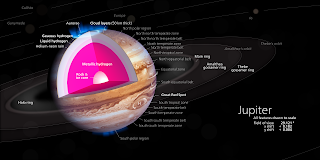 Bill's Movie News and Reviews: "What Would Happen If You Fell into Jupiter?" 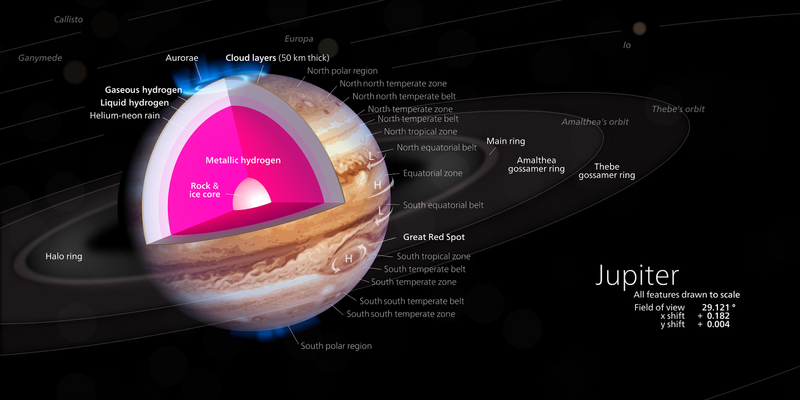 "What Would Happen If You Fell into Jupiter?" “What Would Happen If You Fell Into Jupiter”, from Patreon’s “Answers with Joe” series. Joe starts out with footage from the May 3, 1999 tornado inMoore, OK, which produced winds of 318 mph. That’s a typical wind speed high in Jupiter’s atmosphere. After you pass the ammonia ice layers, you are in hydrogen that gets thicker and hotter, and pretty soon you are fried and crushed to death. That’s not to mention dealing with the magnetic fields or “Van Allen” belts. Joe then explains the supercritical state of matter, between gas and liquid, before metallic hydrogen is reached. Joe's comment about Van Allen belts is interesting because there has been recent literature suggesting an EMP attack (as from North Korea) could affect the Earth's Vam Allen belts (Australian source). "Can Jupiter Ever Become a Star?"